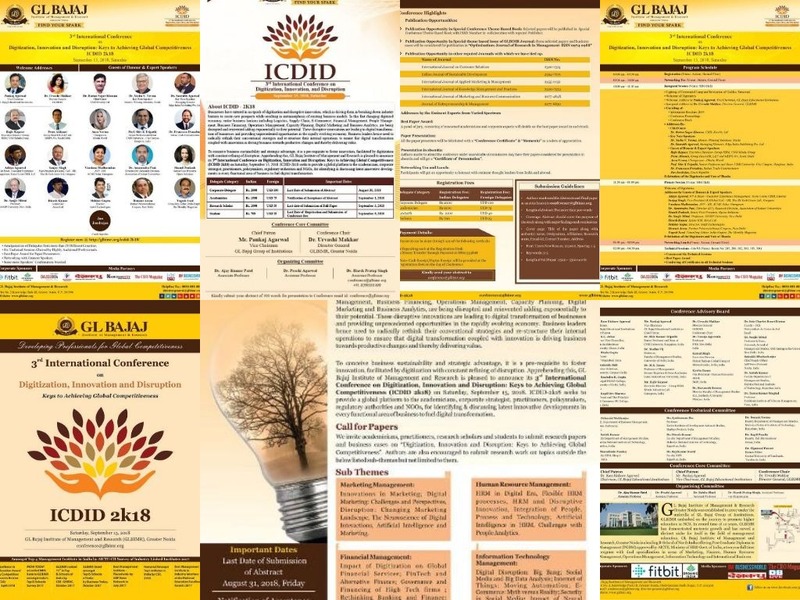 3rd International Conference on “Digitization, Innovation and Disruption: Keys to Achieving Global Competitiveness (ICDID)” on September 15, 2018. Continuing the legacy of academic excellence, GL Bajaj Institute of Management & Research (GLBIMR), Greater Noida is organizing, 3rd International Conference on " “Digitization, Innovation and Disruption: Keys to Achieving Global Competitiveness (ICDID)” on Saturday, September 15, 2018. The 2nd International Conference on "Achieving Sustainable Strategic Advantage” (ICASSA - 2K17) on September 09, 2017, was a grand success, with the participation of 400 delegates from more than 15 countries and presentation of more than 100 research papers. As a step ahead, to continue the journey, 3rd International Conference, ICASSA-2k18 is being organized. 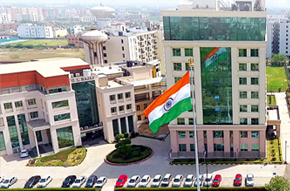 In this fast-changing digitized economy, entire business horizon including Logistics, Supply Chain, E-Commerce, Financial Management, People Management, Business Financing, Operations Management, Capacity Planning, Digital Marketing and Business Analytics, are being disrupted and reinvented adding exponentially to their potential. ICDID-2k18 aims to provide a global platform to the academicians, corporate strategist, practitioners, policymakers, regulatory authorities and NGOs, for identifying & discussing latest innovative developments in every functional area of business to fuel digital transformation. This Conference aims to bring richness in the discussion by encouraging contributions from researchers across academic institutions and industry worldwide.